windows, originally uploaded by jahansell. Another shot from the other night, behind the pizza shop. 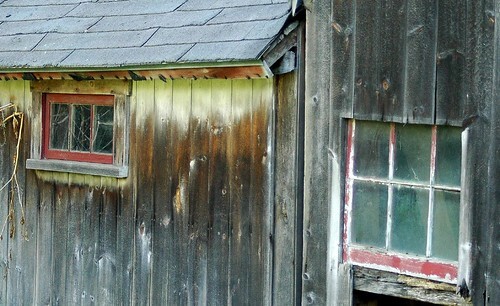 Weathered wood, old clouded glass, flaking paint - kinda beautiful, isn't it? It is amazing how wood ages with or without paint. I am back from my self-imposed vacation. yes, i like things weathered too! I'm weatherbeaten myself...how come I don't look beautiful!